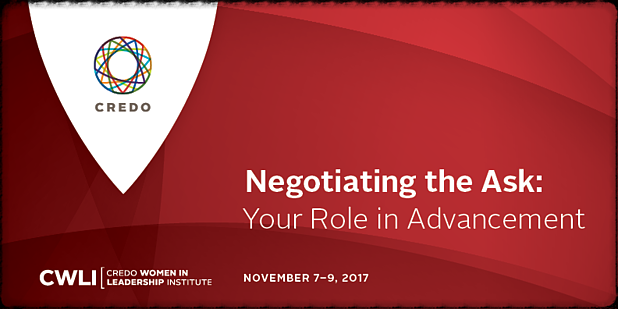 Register now for the 2017 Credo Women in Leadership Institute, occurring November 7 -9, 2017! During the 2016 event, the participants brainstormed and came to a consensus on the theme for 2017: Negotiating the Ask: Your Role in Advancement, a timely and applicable topic for presidents. 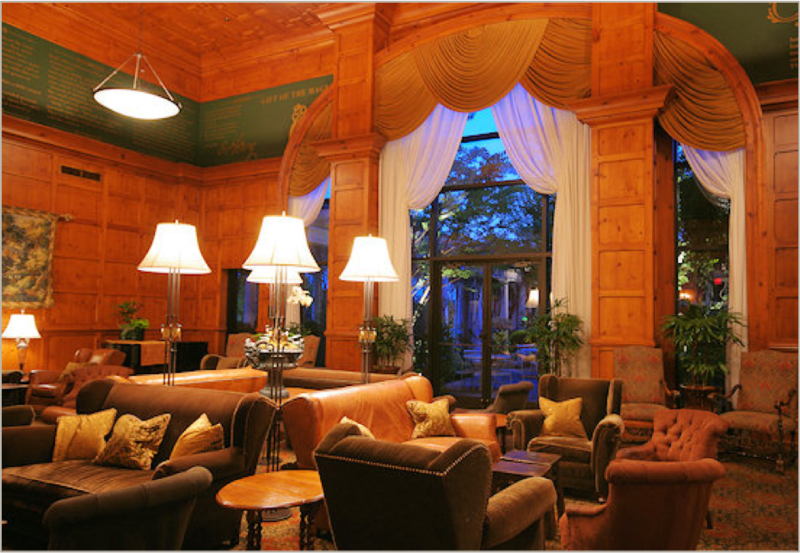 traveling with donors, and other topics. "Reengagement Strategies: Stepping Into a Community"
"Managing Board of Trustee Giving"
"Creating an Effective Advancement Team Partnership"
"Fundraising in Unique Institutional Cultures"
"All In on Campaigns: Focused Fundraising"
"Open Forum For Advancement and Fundraising Topics"